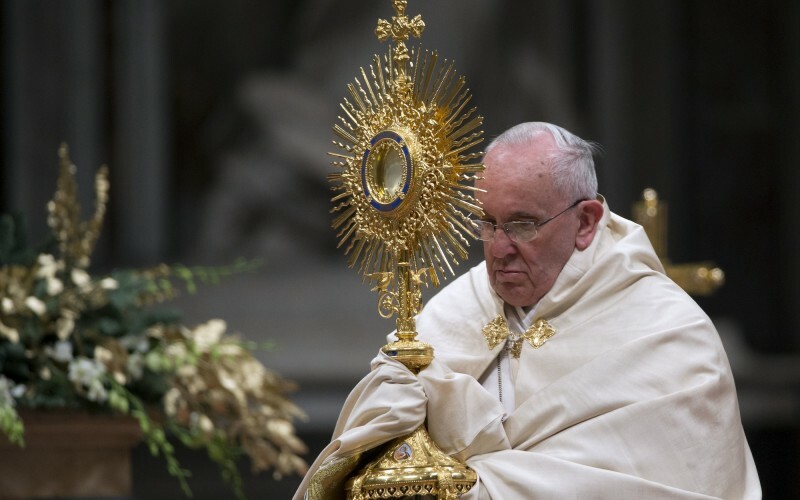 In the audience to the members of the Pontifical Council for International Eucharistic Congresses, Pope Francis urges the next Eucharistic Congress in Budapest (in 2020) to be a witness in modern and secularized society, where faith has become marginal. "Spreading a "Eucharistic culture", of "communion", "service", "mercy" in a Europe sick with indifference". Vatican City (AsiaNews) - The Eucharist " paschal mystery that can enhance the baptized as individuals, but also the earthly city in which they live and work ": said Pope Francis this morning meeting the participants in the plenary session of the Pontifical council for international Eucharistic Congresses, about to prepare for 2020 the Eucharistic Congress in Budapest (Hungary). In this "great European city" the Eucharistic event will meet “the challenges of secularized modernity and a globalization that risks eliminating the unique features of a rich and variegated history", of the Church and of the congresses, which have been taking place for over 100 years. 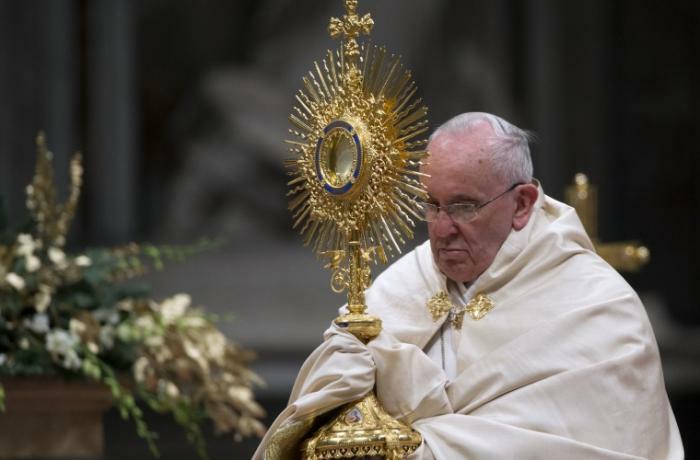 "What does it mean - asks Francis - to celebrate a Eucharistic Congress in the modern and multicultural city, where the Gospel and the forms of religious affiliation have become marginal?". The answer: "in a Europe sick with indifference and crossed by divisions and closures", it means spreading a "Eucharistic culture", of three attitudes. The first is "communion": " Communion with Christ is the real challenge facing Eucharistic pastoral activity, since it entails helping the faithful to communicate with Jesus present in the Sacrament in order to live in him and with him in charity and mission. A powerful contribution to this is also made by Eucharistic worship outside of Mass, which has always been an important moment in these ecclesial gatherings. Prayer of adoration teaches us not to separate Christ the Head from his Body, our sacramental communion with him from our communion with his members and from the missionary commitment that follows from this". The second attitude is "service": "The Eucharistic community, communicating to the fate of Jesus Servant, becomes itself" servant ". The Pope explains that "Christians serve the cause of the Gospel by entering the places of weakness and the cross to share and heal" and lists some of these places: " We think of families in difficulty, young people and adults without work, the sick and the elderly who are abandoned, migrants experiencing hardship and acts of violence, and so many other forms of poverty". In all, "the baptized spread the seeds of a Eucharistic culture by becoming servants of the poor, not in the name of an ideology but of the Gospel itself, which becomes a rule of life for individuals and communities. We see this in the constant witness borne by so many saints of charity, men and women alike ". The third attitude is "mercy": " Everyone laments the corrosive river of misery flowing through our society. It is made up of different kinds of fear, oppression, arrogance, cruelty, hatred, forms of rejection and lack of concern for the environment, not to mention others. And yet, Christians realize every Sunday that this swollen river is powerless against the ocean of mercy that inundates our world. Mercy thus enters the veins of this world and helps to form the image and structure of the People of God suited to our modern age". The Pope: if all religious rituals are cancelled, in today's consumeristic society it would give space to other rituals, which can become "idols"